Add rural law enforcement to the list of potential beneficiaries of the economic stimulus package being prepared for Congress. Sen. Patrick Leahy, D-Vt., "this week introduced the Rural Law Enforcement Assistance Act, which would authorize $75 million a year over the next five years in new ... grant money for state and local law enforcement in rural states such as Vermont and in rural areas within larger states," Erin Kelly writes for the Burlington Free Press. "The money could be used to hire and train police officers, buy equipment and fund special crime-fighting task forces. The grants also could be used for crime prevention and drug treatment programs." What sort of ash disposal method does your coal-fired power plant use? The Coalfield Progress, a twice-weekly newspaper in Norton, Va., is doing what should be done by all news organizations that serve readers, listeners and viewers who live near coal-fired power plants or future plant sites: asking questions about ash disposal in the wake of the spill that wrecked a neighborhood in Tennessee (see item below). "If the coal-ash disposal method that failed Dec. 22 near Knoxville is an apple, then Dominion Virginia Power’s proposed Virginia City coal-ash landfill is an orange, according to company officials," Jeff Lester reports. "Dominion says its plan for burying ash in a lined, state-of-the-art landfill is very different — and much safer — than the Tennessee Valley Authority ash slurry pond that breached in Kingston, Tenn., causing the biggest ash spill in American history." Leak found, stopped at TVA disposal pond in Ala. The Tennessee Valley Authority "is investigating a leak from a gypsum pond at its Widows Creek coal-burning plant in northeastern Alabama, a spokesman said at about 10:45 a.m. Central Time," writes Anne Paine of The Tennessean. TVA says was detected at 6 a.m. today and has been stopped. Many safety concerns about waste disposal at coal-fired power plants have been raised following the disaster at the TVA ash pond in Kingston, Tenn.
"The number of miners killed on the job in the United States fell to 51 in 2008, the fewest number of deaths since officials began keeping records nearly a century ago, according to preliminary data released by federal regulators Thursday," writes Roger Alford of The Associated Press. The historic low follows two years in which the number of mining fatalities rose, largely because of coal-mine disasters. Coal mines accounted for 29 of last year's deaths, compared to 34 in 2007. The U.S. Mine Safety and Health Administration reported that 22 deaths occured in other types of mines, down from 33 in 2007. Congress should delay the Feb. 17 switch to digital television because the nation, especially many rural viewers, are unlikely to be prepared for it, President-elect Barack Obama's transition co-chairman told congressional leaders in a letter today. John Podesta cited the new waiting list for $40 federal coupons for digital converter boxes and "problems with the government's effort to educate the public about the switch and help prepare people, particularly the elderly, poor and those living in rural areas," report Jim Puzzanghera and Christi Parsons of the Tribune Co. Washington Bureau. President-elect Barack Obama said today that his massive economic stimulus program includes "expanding broadband across America, so that a small business in a rural town can connect and compete with their counterparts anywhere in the world." Obama had called for action on rural broadband throughout his campaign and after the election. A buyer has been found for five small newspapers in central Connecticut that the financially troubled Journal Register Co. planned to close next week. Michael Schroeder, a Long Island media consultant and former publisher of a free commuter daily in Boston, has signed a letter of intent to buy the Bristol Press and the New Britain Herald, 9,000-circulation papers that have a combined Sunday edition, and three weeklies: the Wethersfield Post, the Newington Town Crier and the Rocky Hill Post. "Just who is Schroeder?" asks Lynn Doan of The Hartford Courant. "He's getting into the newspaper business as the industry faces fundamental change, but those who know him say he might be just the person to resurrect the Press, Herald and three weeklies that come with the deal." Schoreder was a copy editor and later chief of staff to the publisher of Newsday on Long Island. (Read more) For Press reporter Steve Collins' blog on efforts to save the paper, click here. UPDATE, Jan. 13: Schroeder's plan for changes at the papers "could be one of the most remarkable experiments in media anywhere in America," Courant columnist Rick Green writes. As Alaska officials attempt to determine how many rural residents have migrated to the state's only urban area, in and around Anchorage, they are trying to find out how many students have left rural schools. State researchers ... report that rural schools lost 1,802 students in the last five years," writes Alex DeMarban of the Daily News-Miner in Fairbanks, but there have been some problems in using these statistics. In the same period, the number of urban students declined by 204, and one would expect that number to have risen if rural students were migrating. A decrease in the birth rate is a likely factor. "The Alaska birth rate has fallen in recent years, dropping from 24.4 for every 1,000 residents in the 1980s to 15.4 in 2005-2006," DeMarban writes. An earlier blog here, citing an article from the Anchorage Daily, found that much of the data about the migration from Alaska's rural school population has been exaggerated. Congressional Democrats are preparing bills to reverse a host of reguations adopted by the Bush administration in its final weeks, apparently including one intended to remove legal and technical obstacles to mountaintop-removal mining of coal. So reports Joaquin Sapien of ProPublica, citing The American Prospect, a liberal magazine. Perdue Farms has agreed with the Environmental Protection Agency "to implement a four-year program aimed at protecting waters in the mid-Atlantic and Southeast" over the next four years, reports Janie Gabbett of MeatingPlace. "The agreement grew out of a pilot program initiated by EPA and Perdue on the Delmarva Peninsula in Delaware, Maryland and Virginia," Gabbett writes. The agreement is especially important for the Chesapeake Bay. "Beginning in 2007, EPA and Perdue provided training and assistance to the largest independent contract poultry farms growing for Perdue throughout the peninsula," EPA said in a press release. The training helps farmers control water runoff and manage chicken litter. Under the agreement, each Perdue plant will have a management system "to reduce environmental impacts and increase operating efficiency," EPA said. "The initiative also will include an awards program to recognize poultry farms that demonstrate environmental excellence in protecting and restoring waterways." For a copy of the agreement, click here. The burst of the housing bubble was a largely urban phenomenon. "From early 2007 until the third quarter of '08, housing prices in rural areas have risen by two percent on average, according to figures released by the Office for Federal Housing Enterprise Oversight," writes Bill Bishop of the Daily Yonder. 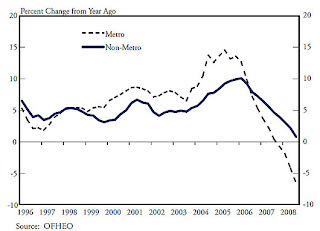 "During the same period, metro housing prices have declined by nearly 8 percent." Rural home values didn't drop as sharply because, as the graph shows, they did not experience a steep price increase that preceded the decline in urban home values that followed. "There was less rise in rural home prices from 2000 to 2005 so there was less air in the bubble when it finally popped," Bishop writes. Not all rural areas were able to avoid the sharp decline in home values. Some areas of Pacific Coats states have seen a sizable decline in home values since 2007. However, "In the West South Central region (Texas, Oklahoma, Arkansas and Louisiana), an area where rural communities have been bolstered by a strong energy-producing and agriculture economy, housing prices outside the cities have continued to grow despite the national bust," Bishop notes. 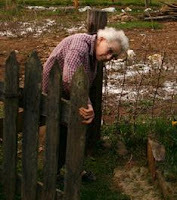 Read an earlier post on the rural housing market by clicking here. In wake of the coal-ash pond breach in East Tennessee last month (Associated Press photo), The New York Times reports that many of 1,300 similar dump sites in the U.S. remain unregulated and unmonitored. The sites contain toxic heavy metals such as arsenic, lead, mercury and selenium, which according to the Environmental Protection Agency threaten both water supplies and human health, and are not subject to any federal regulation. The coal industry has even been seeking "beneficial uses" for coal ash as a means of dealing with the huge quantities of waste from burning coal. "In 2007, according to a coal industry estimate, 50 tons of fly ash even went to agricultural uses, like improving soil’s ability to hold water, despite a 1999 EPA warning about high levels of arsenic, writes the Times' Shaila Dewan. "The industry has promoted the reuse of coal combustion products because of the growing amount of them being produced each year — 131 million tons in 2007, up from less than 90 million tons in 1990." Kentucky's coal industry has dropped its opposition to legislation that requires emergency plans for action in the event of coal slurry disasters. "We recognize the need. It's the right thing to do," Bill Caylor, president of the Kentucky Coal Association, told Bill Estep of the Lexington Herald-Leader. Kentyucky has 64 coal-slurry impoundments that are considered "high-hazard," meaning that a dam break would pose high potential for death or serious structural damage. Many residents at risk began lobbying for legislation requiring emergency plans after a dam broke in Martin County in 2000. Though the damage was largely to creekside property, many believe it could easily have been much worse, because residents were not immediately notified of the breach. The Daily Yonder summarized the 2008 performance of the "Yonder 40," the 40 stocks it has picked to represent the rural economy, and found that those stocks beat the Dow Jones Industrial Index, the NASDAQ composite and the Standard and Poor's 500. The Yonder 40 was down 31.3 percent , compared to -34% for the Dow, -38% for S&P, and -40.5% for NASDAQ. Rural housing prices have remained more stable than their metropolitan counterparts during the recent crisis, according to a study published in The Main Street Economist, a publication of the Federal Reserve Bank of Kansas City. Chad Wilkerson, a vice-president of the bank, attributes that to "better fundamentals in home prices" in rural areas. He notes that rural housing prices have always been more closely related to household income than in urban areas, so there was less of a "bubble" in rural areas. Also, new home construction in rural areas slowed at the first sign of the economic crisis, which left fewer unsold houses to drive down prices. Appalachia lost one of its most authentic chroniclers yesterday, when Verna Mae Slone died at the age of 94. Slone, who lived most of her life in Pippa Passes, Ky., population 300, was best known for her first book, What My Heart Wants to Tell, which was published when she was 65. She went on to write five more books. "I often referred to her as the Grandma Moses of the mountains," Mike Mullins, longtime director of the Hindman Settlement School, told Tom Eblen of the Lexington Herald-Leader. "In simple language, Slone wrote about life and the importance of family, community and the fast-disappearing culture of her beloved Eastern Kentucky mountains," Eblen writes. 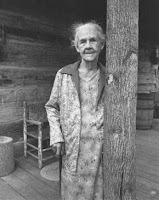 But along with serving as a voice for Appalachia, she also became a face of it when a 1993 photograph, right, by Barbara Beirne was the centerpiece of Beirne's "Women of Appalachia" exhibit at the Smithsonian Institution. "Verna Mae Slone was a gracious, dignified, intelligent woman," Beirne said Monday. "Everyone who views her photograph seems aware that they have been introduced to a very special person." A new study has confirmed what many have long suspected: when local government budgets tighten, more traffic tickets are written, at least in North Carolina. After getting a speeding ticket, Thomas A. Garrett, an assistant vice president at the St. Louis Federal Reserve Bank, teamed with Gary A. Wagner, an economist at the University of Arkansas Little Rock, to study the correlation between local economies and traffic citations. The findings would not apply to all states. For example, when Kentucky unified its state judicial system in the mid-1970s, local governments stopped getting revenue from fines. They still get an annual appropriation from the state, based on the revenue they were generating then. We recently reported on controversial plans by the U.S. Forest Service to change its road easements, allowing the paving of logging roads through naitonal forests for residential development on adjacent tracts. But today, The Missoulian reports that the developer pushing for the change has backed off, citing public opposition as the primary factor. “Although we continue to believe that the easement amendment would be beneficial to the general public, given the lack of receptivity, we have decided not to go forward with the amendment,” Plum Creek Timber Co. President and CEO Rick Holley wrote in a letter to Montana's Missoula County. The company had been working with Agriculture Undersecretary Mark Rey to amend the company's easements, which traditionally have been understood to allow roads only for timber transportation. The recent unionization of the largest pork processing plant in the U.S., Smithfield Foods' plant in Tar Heel, N.C., may have been driven by immigration raids that purged the plant of undocumented workers wary of the idea. "The 2007 raids purged the Bladen County plant of illegal Hispanic workers, and left behind a majority of native workers more likely to support unionization," writes Kristin Collins of The News & Observer of Raleigh. "According to the company, the share of Hispanic workers has shrunk from about half in early 2007 to one quarter today. Black people now make up 54 percent of the plant's work force. ... Labor experts say blacks are traditionally more supportive of unions than other races or ethnic groups." Next month's transition to digital television, which is bound to be troublesome for many rural Americans, just got more troublesome. The National Telecommunications and Information Administration announced today that the program to provide $40 coupons for digital converter boxes has exhausted its $1.34 billion budget, "weeks sooner than anyone expected," because of heavy news coverage of the issue over the holidays, writes Ira Teinowitz of TVWeek. High salt prices have some towns getting creative when it comes to keeping ice off their roads. A couple of recent articles have examined solutions to salt prices that have almost doubled since last year, a rise which has strained many towns' already-squeezed budgets. To read The Rural Blog's previous coverage of road salt, click here and here. About a third of veterans treated at Department of Veterans Affairs health care facilities show signs of depression, a serious risk factor for suicide among them, a study by the University of Michigan Health System found. That is significant for rural areas, since rural inhabitants make up a disproportionately large amount of military recruits and the VA has had difficilty getting mental-health services to rural areas. The researchers recommended that patients, in the 12 weeks after seeking treatment, should receive intensive treatment for depression to prevent suicidal behavior. Marcia Valenstein, M.D., clinical psychiatrist with the VA Ann Arbor Healthcare System and associate professor of psychiatry with the University of Michigan Health System said the study shows "the need for very close follow-up for patients who are discharged from our inpatient services because this is a particularly vulnerable time for them." One of the first New Deal farm programs was the Soil Conservation Service, successor to the inaptly named Soil Erosion Service. Now it's part of the Natural Resources Conservation Service, part of the Department of Agriculture, but the ethic of soil stewardship lives on in county soil conservation districts -- and in the minds of thoughtful folks like farmer-author Wendell Berry of Kentucky, right, and Wes Jackson, a plant geneticist and president of The Land Institute in Salina, Kan. In The New York Times today, they call attention to the parlous health of our nation's soil. Soil "is as nonrenewable as (and far more valuable than) oil. Unlike oil, it has no technological substitute — and no powerful friends in the halls of government," they write. Soil erosion and depletion "never enough noticed, has been made worse by the huge monocultures and continuous soil-exposure of the agriculture we now practice. To the problem of soil loss, the industrialization of agriculture has added pollution by toxic chemicals, now universally present in our farmlands and streams. ... Clearly, our present ways of agriculture are not sustainable, and so our food supply is not sustainable. We must restore ecological health to our agricultural landscapes, as well as economic and cultural stability to our rural communities." Forty years ago, John Fetterman was a top writer at The Courier-Journal in Louisville and spent much of his time chronicling the tribulations of Appalachia, in particular the communities along Stinking Creek in the southeastern corner of the state. He wrote a book, Stinking Creek, and won a Pulitzer Prize for a C-J Magazine story on the funeral of a mountain soldier killed in Vietnam. John Fetterman died young, but took his daughter Mindy to Stinking Creek with him and inspired her to be a journalist. In the last year or so she went back, to report on life there for USA Today, for which she has been a reporter and is now manager of enterprise and innovation. "Quietly, they advocated birth control and education for women," Fetterman wrote. "Viewed at first with suspicion and distrust, the women known as "the nurses" have, over the decades, proved how much hands-on caring can make a difference in the lives of individuals. ... As family size shrank, the abject poverty that encased Stinking Creek began to ease. The mountains opened up, and the people could see out." Fetterman says in the video, "I realized that these two women have had as much impact on Stinking Creek as the federal government's War on Poverty," which provides a national frame for her story. To read it, view the photo gallery and watch the video, all of which are worth your time, click here. In its final days, the Bush administration is preparing to change U.S. Forest Service easements to "make it far easier for mountain forests to be converted to housing subdivisions," by allowing logging roads to to paved, Karl Vick reports for The Washington Post. Vick reports that Mark Rey, a former timber-industry lobbyist who is the agriculture undersecretary overseeing the Forest Service, negotiated the change "behind closed doors with the nation's largest private landowner," Plum Creek Timber Co., which transformed itself from a logging firm into a real-estate investment trust and is building subdivisions in the Rockies, primarily in Montana, where President-elect Barack Obama campaigned against the idea after journalists reported on it and county officials opposed it. Michael Jamison of The Missoulian reports that officials in Missoula County officials, where Plum Creek owns 57 percent of the private land, that the change "could pave the way for wholesale rural development -- along with all the attendant costs, as taxpayers struggle to deliver urban infrastructure and firefighting" to newly developed areas.